A YEAR-long police investigation into a bikie gang culminated in a dramatic series of dawn raids yesterday across the North and Mid-North coasts. Police allege the gang specialised in distributing large quantities of the drug ice. Up to a dozen properties, including three in Ballina, one each in Goonellabah, Alstonville and Evans Head, were raided simultaneously in what police codenamed Strikeforce Badim. At a rural property near Tabbimoble, police from the black-clad Tactical Operations Unit participated in a dramatic high-risk arrest of a gang member who was allegedly armed with sawn-off firearms and had a history of violence. Properties in South Grafton and Taree were also targeted. The estimated street value of drugs seized was more than $400,000. The gang was believed to be the local franchise of the Rebels outlaw motorcycle gang and was headquartered in Ballina. By noon police had arrested seven people, allegedly its core leadership group, the president, vice-president, and sergeant-at-arms. They were charged with a range of offences including the commercial supply of drugs, the possession of fire-arms and charges relating to home invasions and other violent offences. NABBED: Police officers from Strikeforce Badim yesterday raided a number of properties including three in Ballina (inset is the Grant St raid) and one each in Goonellabah, Alstonville and Evans Head as part of a year-long investigation. Richmond Local Area Command crime manager, Detective Inspector Cameron Lindsay, said police would allege the gang had developed a "high-end" distribution network of ice and amphetamines in its 12-month life. He said while several members were long-term locals, the chapter was able to benefit from connections to the national criminal bikie network. Det Insp Lindsay said the investigation had overt and covert elements. Yesterday's operation was simply to smash the group and arrest every member. 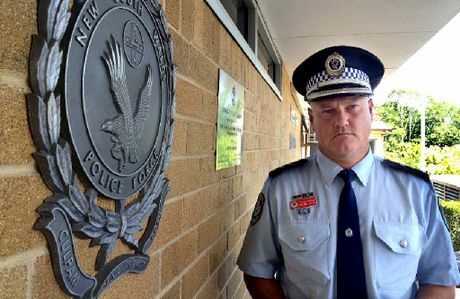 He described ice as an "insidious drug" having an adverse effect on the community and said the gang had been a "major player" in the supply of the notorious drug to Northern Rivers streets. "We're very pleased that we've been able to knock this group out," he said. "We will continue to target them as a group within this area whenever they become operational again. "You only have to speak to any ambulance officer or anyone who works in emergency services; (ice) is a scourge, and one that we really need to stamp out. "The commercial supply of these drugs carries very substantial jail terms, including 25 years." He appealed for remaining members of the group to hand themselves in. "The knock on the door may not come today, but I assure you that it will come." A 28-year-old man from Jacky Bulbin allegedly supplied a commercial quantity of prohibited drug as well as possessed prohibited and shortened firearms. A 46-year-old man allegedly supplied a prohibited drug on a number of occasions from a residence in Evans Head. A 25-year-old man from Goonellabah also allegedly supplied a prohibited drug. 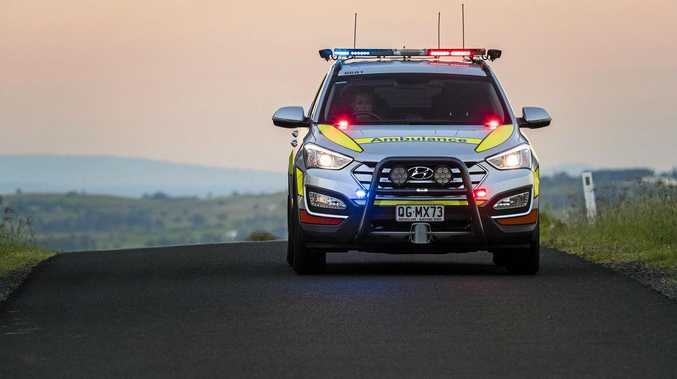 A 32-year-old man and a 26-year-old man, both from Bangalow, were also arrested this week in connection with these matters. The 32-year-old man allegedly supplied a prohibited drug and possessed a number of prohibited and shortened firearms and the 26-year-old man allegedly possessed a number of prohibited and shortened firearms.